The Town of Wyoming is an unincorporated rural town in the most remote area of northwest Waupaca County. It surrounds the Village of Big Falls. Unique from other Waupaca County communities in many ways, the Town of Wyoming landscape has the lowest proportion of agricultural land and the highest proportion of forest land. Waterways are also a dominant landscape feature, including high quality natural resources like the Little Wolf River, the South Branch of the Pigeon River, many trout streams, and Mud Lake. 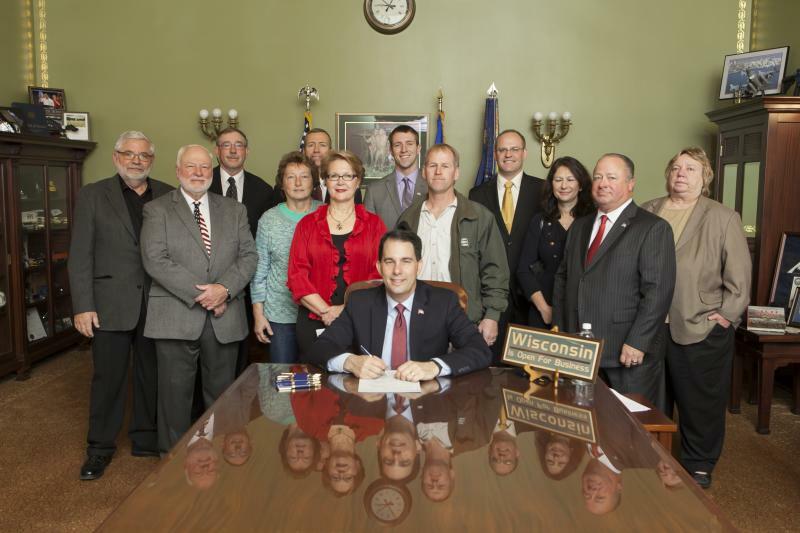 On November 11, 2015, Clerk Carol Myers, Supervisor Margie Schmidt, and Chairman Burton Brady traveled to Madison to witness the signing of Senate Bill 137 which was the result of Town of Wyoming Resolution number 04-2014. The resolution and final bill form now allows municipalities with a town website to use the website, in addition to posting in one external posting site, as legal posting.